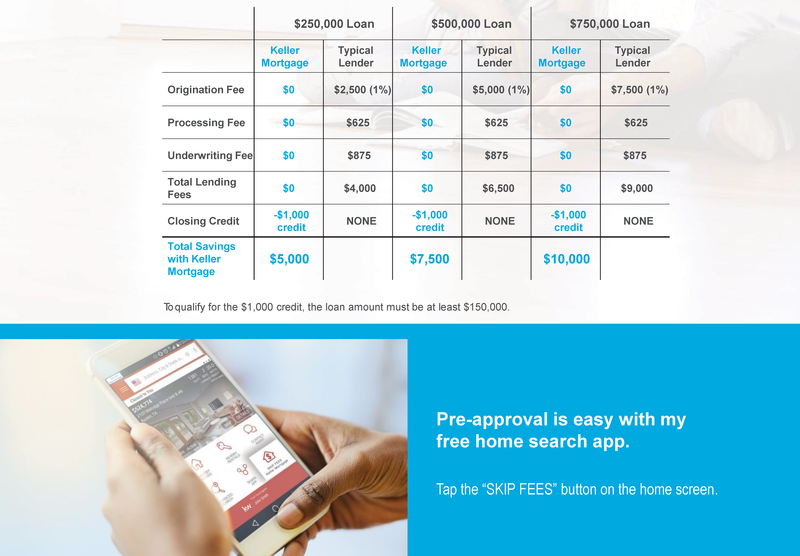 Keller Mortgage was designed to help Keller Williams agents save consumers thousands on their real estate transaction. 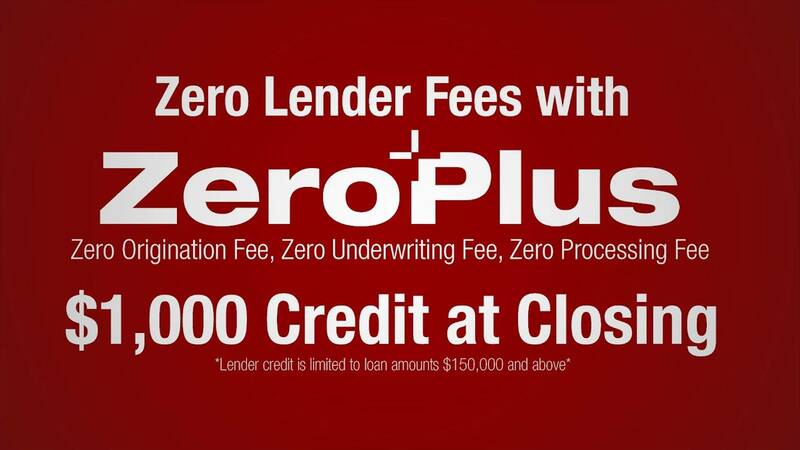 As a KW agent, I provide you an unparalleled advantage – the ZeroPlus loan by Keller Mortgage. Offered exclusively on transactions completed with Keller Williams, this loan helps buyers like you save thousands of dollars. How Can ZeroPlus Save Thousands On Every Deal? Traditional lenders charge more to cover the costs of local offices, expensive lead generation, advertising programs, and marketing agreements. By eliminating those costs, we maximize consumer savings on each transaction. Our Model is high volume, low margin. We do more loans than traditional lenders so consumers get a better deal! Please email customerservice@kellermortgage.com for all questions regarding Keller Mortgage. Certain officers, directors, and owners of Keller Williams Realty, Inc. have ownership interest in Keller Mortgage. Keller Mortgage, LLC is an affiliate of Keller Williams Realty, Inc. This is not a commitment to lend. Buyers are advised to obtain a Loan Estimate. Rates are subject to change and are dependent on credit and underwriting criteria. No Lender fee loan is limited to loans when a Keller Williams agent is a party to the transaction. Lender credit is limited to loan amounts $150,000 and above when a Keller Williams agent is part of the transaction. Borrower is responsible for any rate buydown. VA Lender ID5601100000; FHA Direct-Endorsed Lender No. 241940009; Keller Mortgage is a licensed trade name of Keller Mortgage, LLC, 4725 Lakehurst Ct., Suite 400, Dublin, OH 43016. Equal Housing Lender. Copyright 2018 Keller Mortgage, LLC | All Rights Reserved.